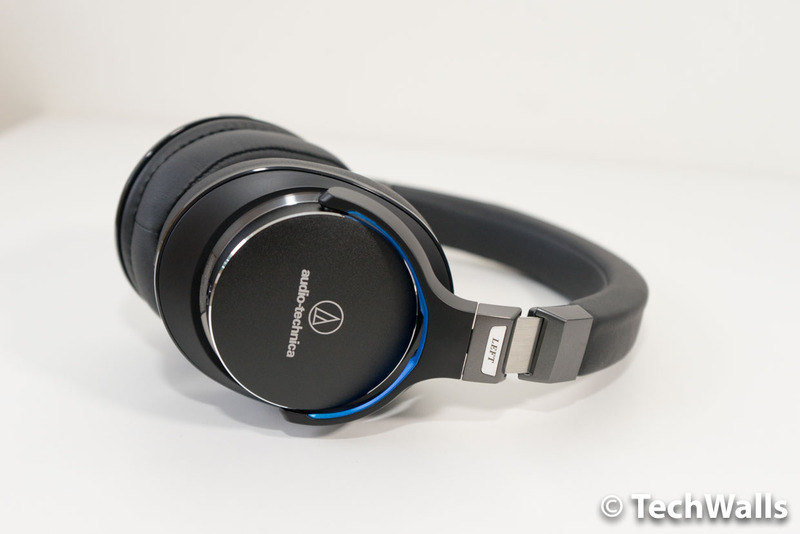 Audio-Technica ATH-MSR7 Over-Ear Headphones Review - Worthy Upgrade from ATH-M50x? 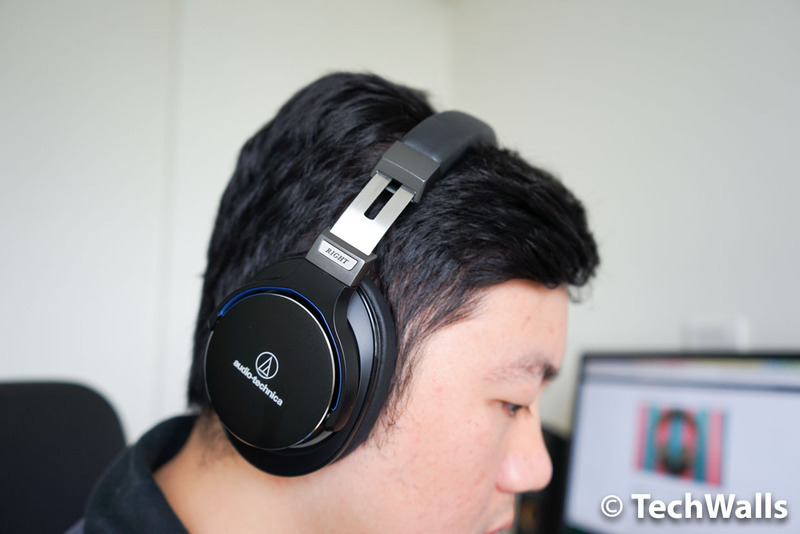 Audio-Technica ATH-MSR7 Over-Ear Headphones Review – Worthy Upgrade from ATH-M50x? It’s been a few years since the last time I tested Audio-Technica headphones. 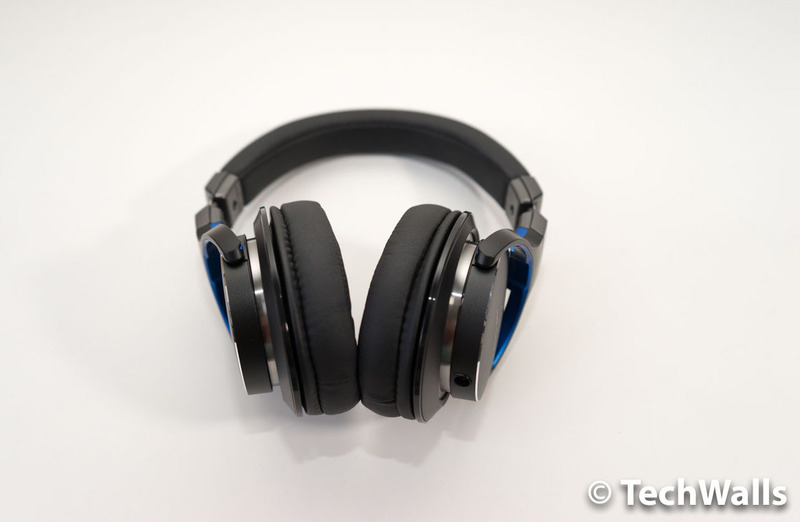 The most recent one was the widely popular ATH-M50x and I really loved its sonic performance. 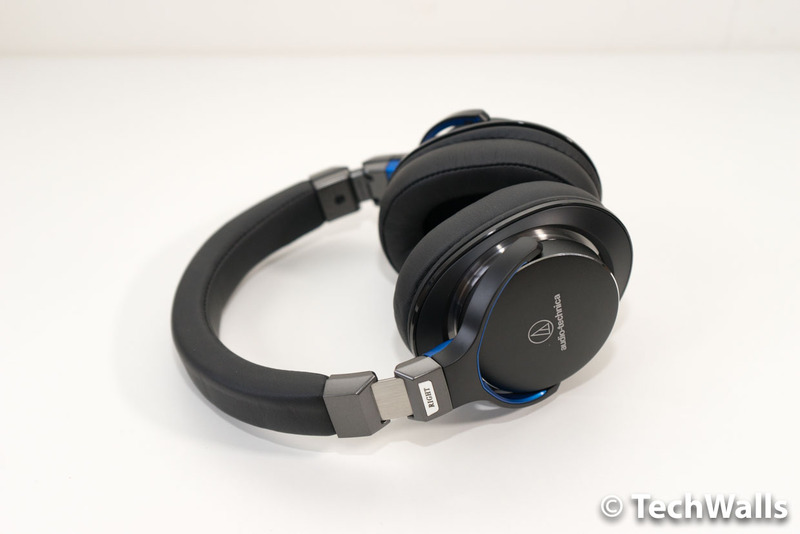 Today we’re taking a look at the Audio-Technica ATH-MSR7 headphones. 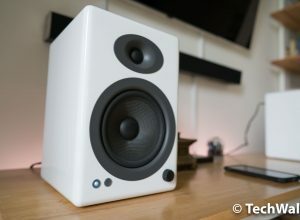 They were released last year but already received many praises from audio engineers and reviewers. Let’s check it out. 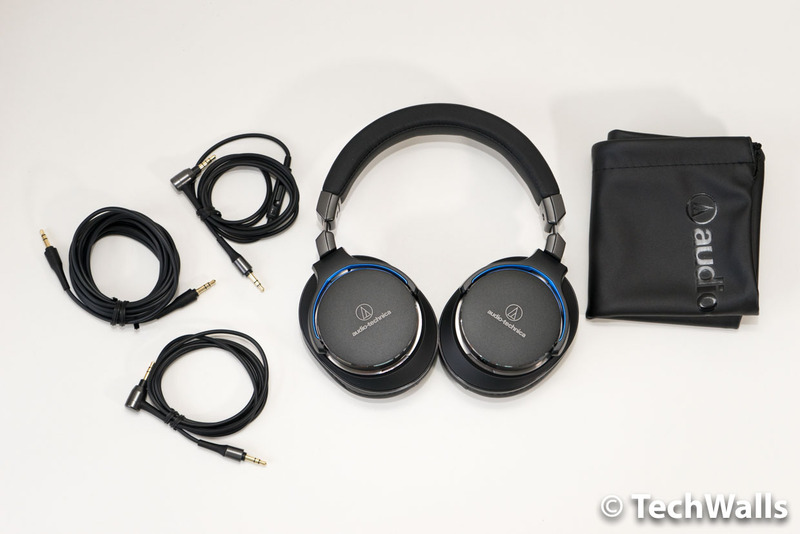 Taking the headphones out of the box, you can also find some accessories, including a carrying pouch and 3 detachable cables (a standard cable, a cable with in-line controls and mic, and a long 9.8′ cable). All of the cables have 3.5mm plug, so you will easily replace them if you want. 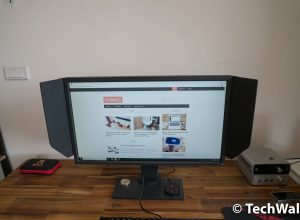 The ATH-MSR7 has a similar frame as the ATH-M50x but it looks a lot sleeker. 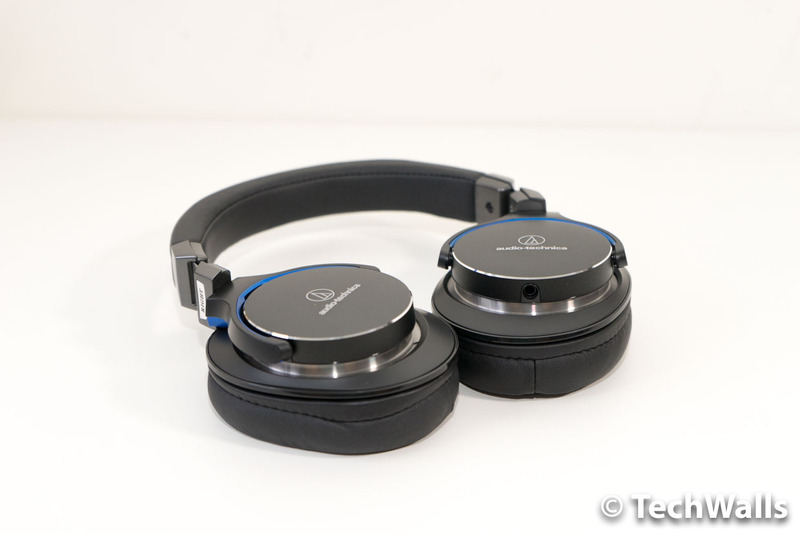 The design is refined and Audio-Technica uses higher-quality materials this time. There are still some plastic parts but they are adding more metal (aluminum/magnesium mix) on the housing and stainless steel acoustic mesh resistor on the inside as well. Therefore, we can see that the new headphones are much more attractive now. My review unit comes in black, you can also get it in the gunmetal gray color which is very stylish as well. The ATH-MSR7 still features a circumaural design with earpads completely enclosing our ears. I really appreciate that it is less bulky than most over-ear headphones out there. It also can be folded flat to fit snugly inside the carrying pouch. It brought me a premium feeling as soon as I touched it for the first time. They use memory foam in the earpads and cover them in high-quality leatherette, so they feel soft and natural. I also find that the headphones are more comfortable for extended listening. I can wear them to watch a whole movie without sweating or hurting my ears. It would be perfect if the headband has a little more padding. The ATH-MSR7 is equipped with the new 45mm True Motion Drivers, and the Hi-Res Audio logo means that it meets the Hi-Res Audio standards for delivering accurate music reproduction. As compared to the ATH-M50x, the ATH-MSR7 has a whole different sound signature. While the ATH-M50x is tuned for a rich and bass-centric sound, the ATH-MSR7 targets audiophiles with a more natural sound. I fell in love with the ATH-MSR7 right at the first few seconds placing them on my head. I was drowned in music immediately, thanks to the much wider soundstage. Just a few closed-back headphones could bring me the same feeling, the most recent one is the expensive Beyerdynamic T5p 2nd-gen headphones. The noise isolation of the headphones is great. Once the music is on, I can’t hear my phone ringing even I place it right in front of me. Besides, the person next to me just could hear a tiny sound but he couldn’t tell what I’m listening to. 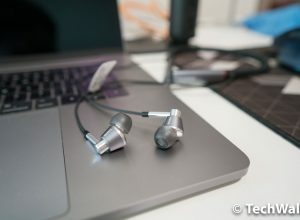 The closed-back design helps you have a better music experience, it almost doesn’t leak any sound to the outside world. I use the ATH-MSR7 with my Samsung Galaxy S7 Edge most of the time. The headphones are quite sensitive, you won’t need a dedicated amp to drive them, just plug them directly to your smartphone. Honestly, I didn’t expect the ATH-MSR7 could sound this good because it’s so difficult to find audiophile headphones at the low price range. The sound is accurate but not necessarily flat, the bass is actually still boosted slightly, so it is punchy and tight enough for me to enjoy pop and EDM music. On the other hand, the treble is crisp without being aggressive and you can hear every detail in the mids clearly. I can’t tell you exactly how enjoyable and relaxing I am every time wearing the headphones to play my favorite tracks. That’s the feeling when you discover something new in your life. In this case, those are the details and clarity that couldn’t have the chance to show off on other headphones. Not suitable for bassheads who prefer a boomy bass. The Audio-Technica ATH-MSR7 is my new favorite headphones. I really can’t believe they can produce such high-quality audiophile headphones for just around $200, I even see they are selling lower sometimes. These are undoubtedly the best headphones in the sub-$200 price range, we at TechWalls highly recommend the cans. The best audiophile headphones you can buy at the low price range.